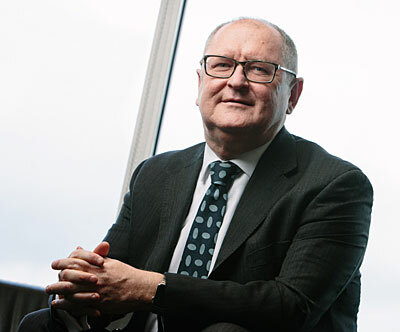 Global safety, standards and workforce development organisation OPITO has appointed John McDonald as CEO as the organisation seeks to further drive the international skills agenda for the oil and gas industry. Prior to joining OPITO, McDonald was a director at ACTVET, the government body charged with creating a vocational education and training system in Abu Dhabi. He was previously a director at the Scottish Qualifications Authority (SQA) and led the development of new products and services and created new markets in Asia and the Middle East. An alumni of Harvard Business School, he has worked at a ministerial level in several countries on capacity building projects in education and training. “I am honoured to take up this role at a crucial stage in OPITO’s development and will ensure our standards add value and continue to serve the needs of the 21st century learner. I look forward to building further links and partnerships with industry as we strive to ensure that safety is at the heart of decision-making and skills initiatives remain relevant, covering every stage of an employee’s career and continue to attract people into our industry,” adds McDonald. The digital theme will also influence this year’s OPITO Safety and Competence Conference (OSCC) which will take place on 8 November 2017 at the Royale Chulan, Kuala Lumpur. “NEW Generation New Thinking” is the topic for this year’s event. With new technologies and ways of working developing all the time, the expectations of the younger generation are changing. It is vital that the oil and gas industry evolves with these changes and adapts its learning processes to meet the needs and demands of the future workforce.